This is a very interesting movie with great visuals just like all Roy Andersson movies and it holds a strange somewhat hidden agenda/message. 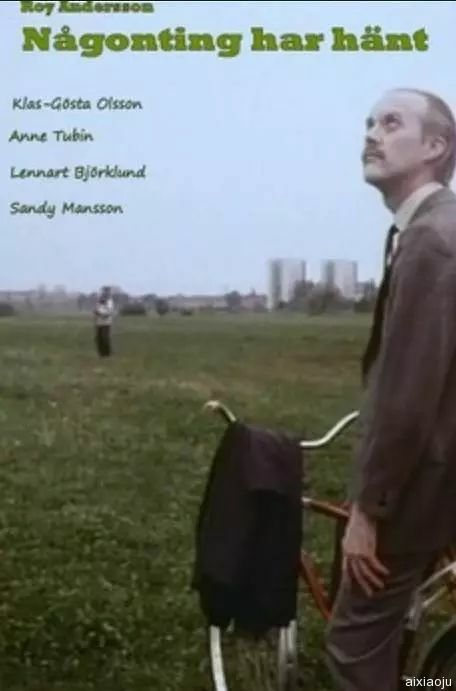 This movie carries a very controversial message about the origin of AIDS which is most likely the reason why the the Swedish Board of Health and Welfare terminated the project. It seams that Roy Andersson doesn't believe in the the theory that the virus was transfered to humans from monkeys in the African jungles. It appears as if he is trying to tell us how the virus was produced in laboratories by US doctors and spread to humans in experiments. The movie parodies the doctors telling us about how the virus was spread by monkeys in Africa and then shows doctors injecting something that we can assume is the virus into people with dawns syndrome(iirc) while a black nurse waves a monkey in front of their eyes to calm them. The reason why I assume it's US doctors who are involved is the scene in the prison where doctors with US accent is asking for volunteers for experiments which involve AIDS.